Is there a way to get iMovie for Windows? Or is there a program that is similar to edit videos on PC? If you have the same problem, then this article is what you need. In this article, we will share 3 programs possessing features similar to those of iMovie video editor. Let’s take a look now! How Can I Get iMovie for Windows? iMovie, developed by Apple, is a simple, flexible video editing software application for the Mac and iOS. It is fully functional and has personalized customization features to help you create, edit, organize, and share your photos and video clips. Unfortunately, Apple developers have not provided a way to download iMovie for Windows versions. However, people still search “how to get iMovie on Windows?”. Given that it’s impossible to download iMovie for Windows, what do you do? Here I recommend 3 all-in-one iMovie alternatives for PC - all of them are ideal iMovie for Windows. Here is an introduction of these 3 iMovie Windows alternatives. If your edited video can't be uploaded to YouTube and Facebook, or if you can't play them on your device, then converting these videos to a more compatible video format is an excellent way. Use Free HD Video Converter Factory to convert your videos now! Speaking of iMovie for PC program, Windows Movie Maker – a Windows entry-level video editing software you will not be unfamiliar. Although Microsoft officials have stopped supporting it and removed all download links, you can still install it on your PC by downloading the offline installation package. Like iMovie, Movie Maker uses a simplified version of the standard video editor timeline, with clips represented by "long thumbnails." The iMovie alternative for Windows can split video, merge video, slow down and speed up video. In addition, one of the things I really like about working with Windows Movie Maker is that most of the effects, transformations, and themes are automatically previewed when we hover our mouse cursor over a button. 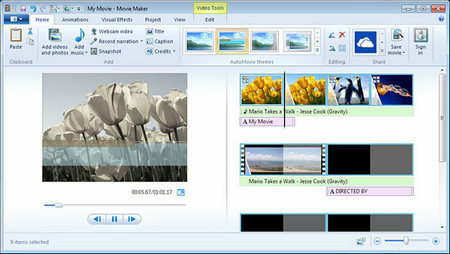 Tips: Since Windows Movie Maker has stopped serving, there are some good WMM alternatives that you can learn about. 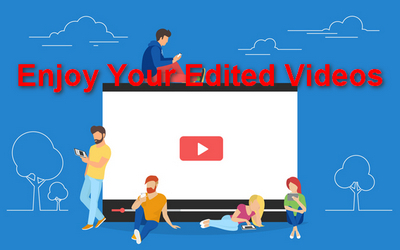 Previously, we mentioned VSDC Free Video Editor when we recommended the best video editor for YouTube. Today, we recommend it again as the iMovie windows alternative. This video editor is intended for editing video files and creating videos of any complexity involving various visual and audio effects. Similar to iMovie, you can create video projects from a combination of video clips, still images and audio files, besides, it even can upload video to YouTube at once. Shotcut is also a good alternative of iMovie for PC. 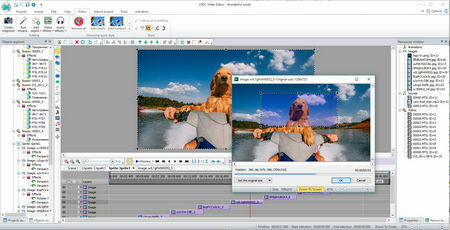 It is a free and open source video editor that makes movie making straightforward. The process of importing video clips, audio and images is very similar to iMovie, just select your media files, then drag them to the timeline at the bottom of the screen. Of course, the functions that the general video editor has, Shotcut is also available, like cut, merge videos, add some visual effects, etc. The biggest feature of Shotcut is its raft of video and audio filters, which are completely customizable and can be layered and combined in a variety of interesting ways. To sum up, if you need the alternative of iMovie for Windows (7/8/8.1/10/XP/Vista are all included) with basic editing functions, these three are good choices. Of course, there are some other critically acclaimed video editors worth a try. You can choose according to your own needs. I hope this article can help you and you are free to share this article to more people! 1. 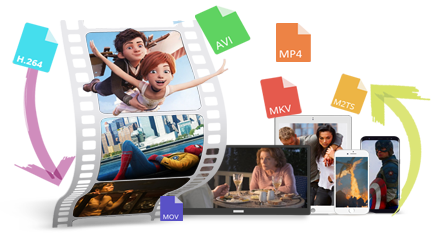 Convert your edited videos to other mainstream video formats like MP4, AVI, MKV, MOV, etc. 2. Compress your edited videos and save space on devices. 3. Download videos from YouTube, Facebook, Twitter, Dailymotion and other video-sharing sites.